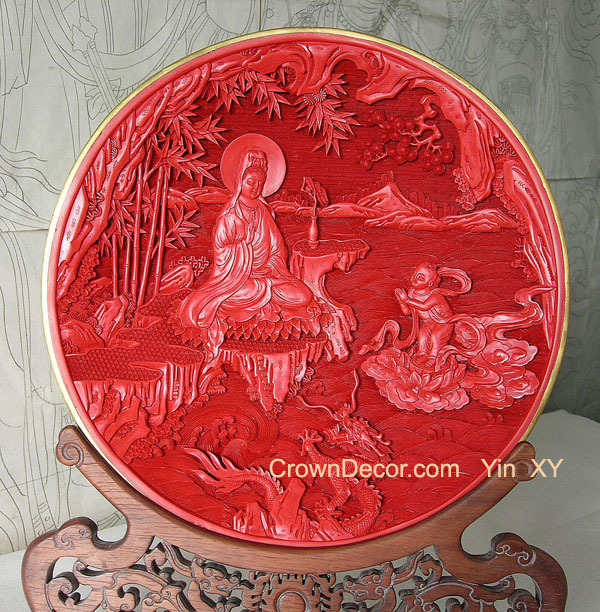 Sell Chinese master's art lacquer cinnabar carvings to museum, art gallery of Toronto, New York, Mississauga, Hamilton, Burlington, Guelph, Montreal, San Francisco, Chicago, Paris, London. Mrs. Yin, born in 1947, is one of two Chinese Arts and Crafts Masters working on traditional Chinese Beijing Lacquer Carving Art. 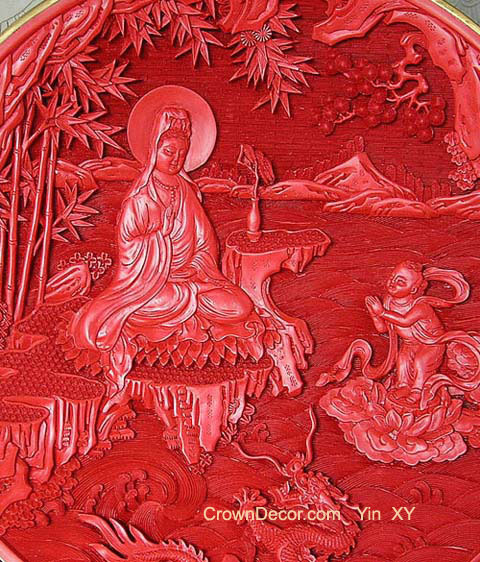 Her works show styles of the Chinese imperial artworks of Ming-Qing dynasty. If you like to purchase, please contact us. ID: Lacquer_yin_004 plate, diameter 38cm. "crowndecor.com" is a division of Feshing International Inc. Copyright 2007-08, All rights reserved by Feshing International Inc.